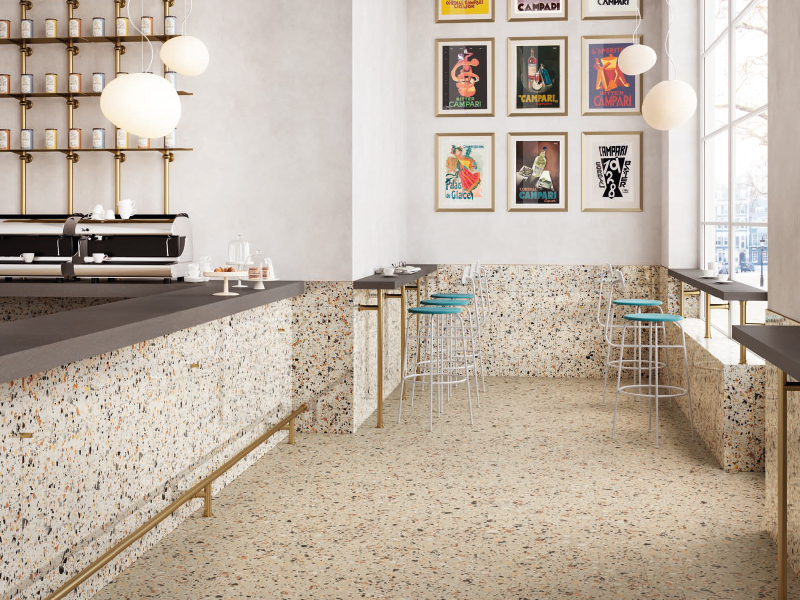 With a growing love for raw aesthetics and natural modern spaces, it’s easy to see why terrazzo is making a comeback. VENICE VILLA revives the lively eclectic feel of the traditional Italian palazzo, transformed for contemporary tastes. 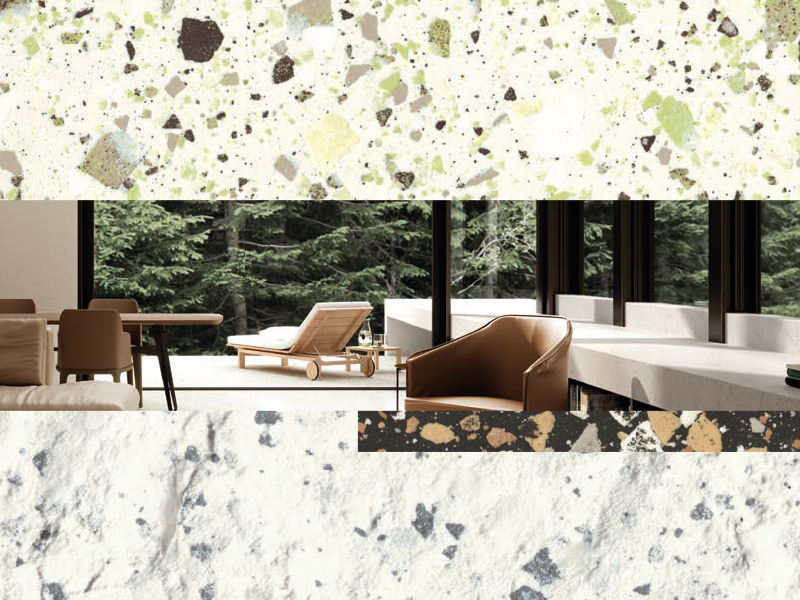 Transcending time and trends, the elegant appearance of marble fragments reflecting light with vibrant flashes of colour provide a surface that complements a diverse array of spaces. This full-bodied porcelain stoneware holds the beauty of the original material with the properties of a ceramic surface; simple to install, easy cleaning and durable for minimal maintenance. 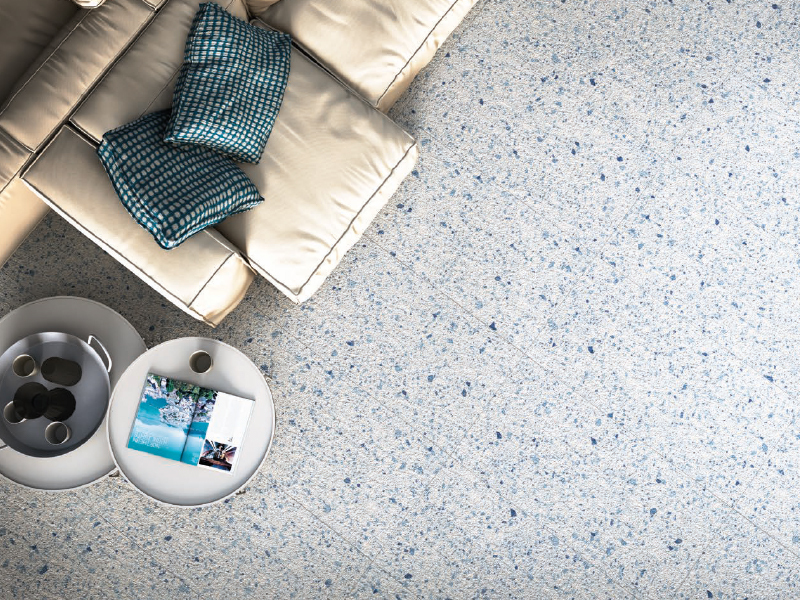 VENICE VILLA stands out for its variety of sizes, finishes and colour fragments. 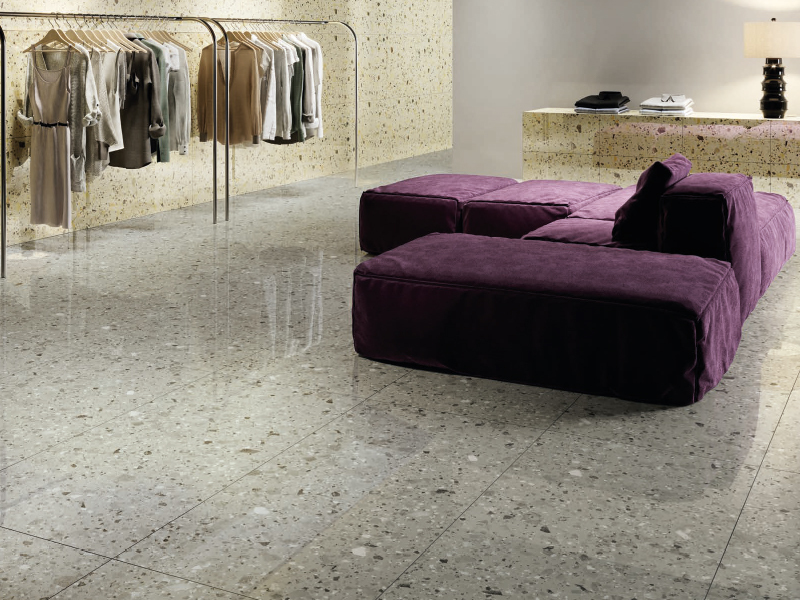 The range offers 3 stunning finishes: untreated, polished and texture, in 4 distinct sizes; 120x60, 60x60, 60x30, 20x20. 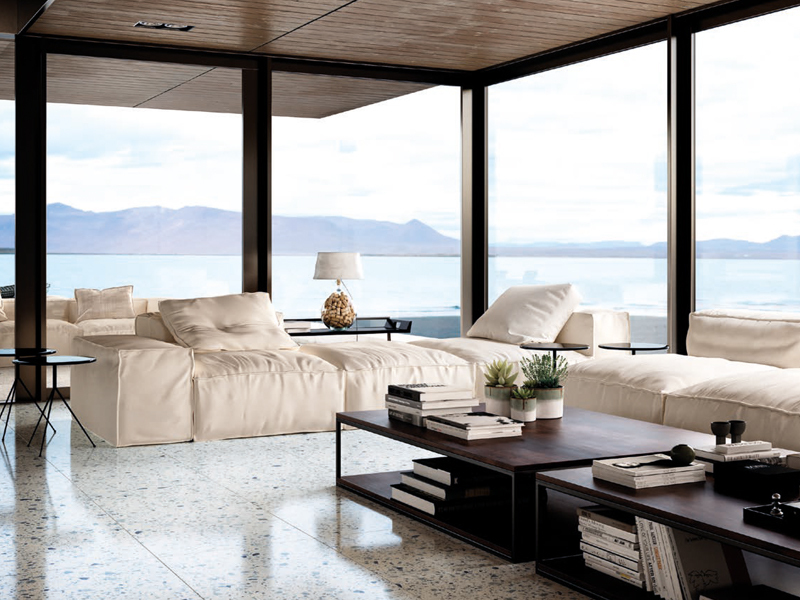 Making this an excellent choice to be specified across large expansive rooms or placed perfectly in feature areas. The variety of colour options gives you an abundant plate to distinguish the design of your space. Subtle neutral shades like Ivory, Silver, Zinc, White and Beige, or the richer Graphite, Earth and Grey, are complemented with playful Green, Pink, Coral, Yellow and Blue.